Would it be possible for you to get some inserts and holder for single pointing larger diameter threads? I was experimenting with single pointing last night and teaching Procterc. I need to turn 1/2-20. Looks like the holder/insert on hand is for smaller diameter threads. Dressing a hss tool is a !###!!! on our bench grinder in the metal shop…there is no light by which to see! If you get this, then I am open to teaching a class this coming weekend. We have/Had another style. I have not looked for it but we used in threading class when it was originally offered. The insert was vertically held in the tool holder. Also I used our threading tool to do 1-7/16” threads, new insert though. There is a single point insert tool on lathe tool rack. It is not large enough for 1/2-20 threads. Looks like it is for smaller diameter parts like 1/4-20 or less. I put it up against the part that I need to re-make…not enough clearance. I can order this but will not do the research for people. The bulb on the bench grinder should be a fairly bright LED; is it dead? 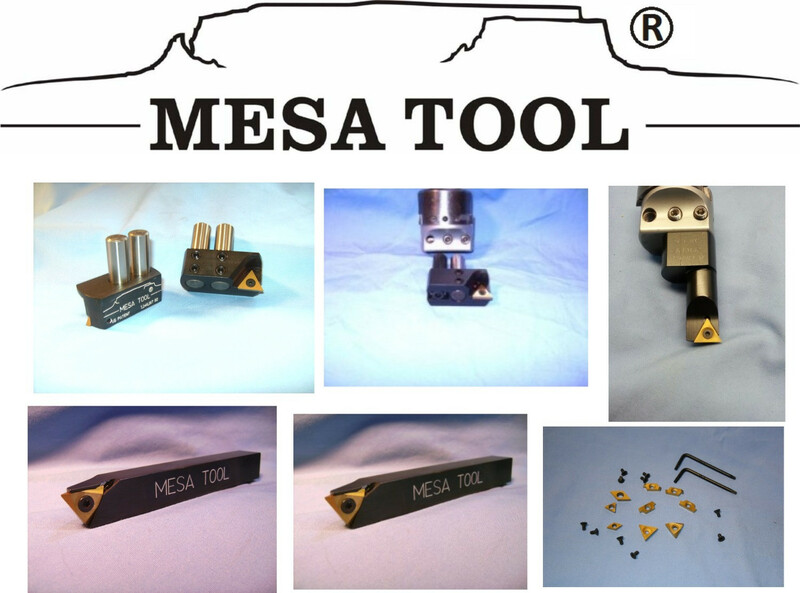 Here is the other single point tool. There are plenty of inserts for it. The screw should be a counter sunk 4-40 screw. That shank appears to be pretty beaten up and the insert does not appear to be correct? The above is for conventional lathe. Kennametal has online resources (Usage Guide Vol 1) that lists SFM, Speeds, Feeds and # of passes to obtain optimum cutter life and surface finish. Note that this is the side view that is posted above, not the top view. The end is beaten up but that’s it, it is not really that old, it’s actually newer than the other style we have. I promise you it will cut just fine, the insert sits vertical with an under cut shoulder for low support. We have multiple inserts already including the one that is on the shank. Each has 3 new cutting edges, So its cheaper to maintain. David bought it when he was chair, right before he ran for the BOD, 2 years ago. 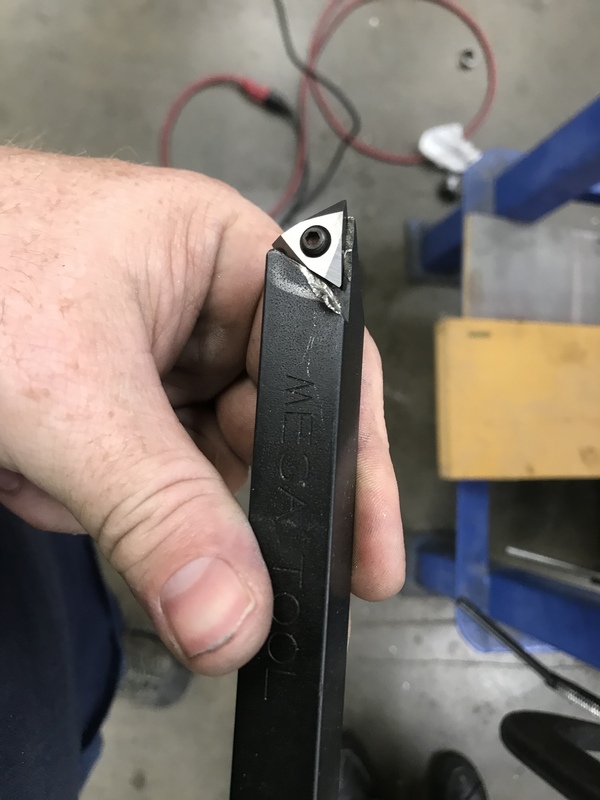 It’s also 5/8” shank size. I’m not opposed to us buying tools, but when we have 2 different that will do the job, its kinda hard to justify. Especially when someone will end up beating the new one up. 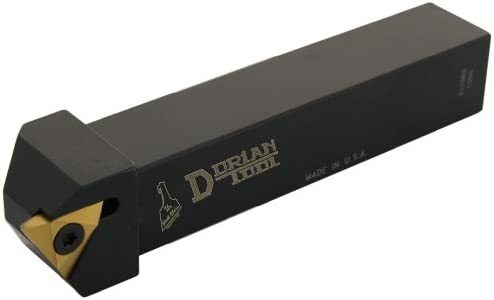 5/8″ Square Shank Threading ToolComes as shown with one TNMC-32 Carbide Threading Insert and 4-40 Torq Screw.Uses any similar insert....... TNMC-32 good for 8-36 TPIHeat Treated with Black Oxide Coating.Approx. 4 1/2" Long.